*The two teams were investigated earlier this season for fixing their last year’s match at Karaiskakis (3-0 on 20/09/14). Veria was holding until halftime (1-0) but finally lost with three goals. The authorities were alarmed by two large bets of aprox. €1.5mil. each, one before kickoff and one more at halftime. Both of them were aiming at a result of Over 2.5 goals. What is really interesting is that the next two goals were conceded at 88’ and 92’ with the defensive line of Veria watching the opponent than doing anything else… The outcome of the investigation was inconclusive. Olympiacos disappointed the fans for one more season. Yes, they will win Super League and they are expected to win the Greek Cup as well. Their fans are aware of that and the only thing they were asking for was something better in Europe. Unfortunately, Olympiacos committed suicide in the Champions League Groups Stage (home defeat from Arsenal 0-3) and continued to the Europa League. The away defeat from Anderlecht (1-0) in the first match for the Round of 32 did not matter to the fans who were hoping for a strong performance and a good result. To their new disappointment, their favorite team sent the match to overtime (1-0) after a poor performance. Their only goal came by a wrongful decision of the referee (penalty kick). Even like this they did not manage to score a second goal against a club that was within their reach. The two goals of Anderlecht at overtime (1-2) killed all hopes causing the reactions of the fans. 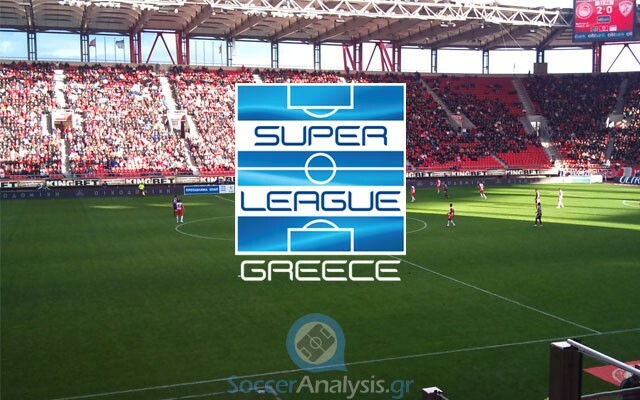 Olympiacos is now officially motiveless in Super League, out of Europe and the only goal they have left is the Cup where they will face PAOK away next Wednesday in the Semi Finals. Veria built a mini undefeated streak against Kalloni (2-0), Atromitos (1-1 away) and Panionios (1-1 at home) and they now look safe enough, 10pts away from relegation. It is highly unlikely they can get in to trouble as neither Kalloni nor Panthrakikos look capable of winning streaks that will change the rankings. They are not expected to cause any problems to Olympiacos as their current coach, Mr. Elefteropoulos is a former player of the Champions and well known for his love to this club. The odds on everything else are so low that I just picked this option. Not bad if we consider Olympiacos is a bit tired and they will be thinking of PAOK and their upcoming Cup match. Nevertheless it is an extremely risky pick. *The history between the two teams since season 2006-07 in both Super League and Football League (home and away), shows 9 wins for Giannina, 5 draws and 1 win for Panthrakikos. These facts looks totally different when we observe their last seven matches since season 2012-13. Giannina won 2 times, Panthrakikos won once and the remaining 4 had no winner. Some of you may noticed I was not surprised by the win of Kalloni against Platanias (2-1) yesterday. Here is another tip. Although Kalloni and Panthrakikos are stuck in the two relegation places, they both hope that at least one of the two promoted teams from Football League will not be able to issue their license for next season. You see, all candidates have financial issues that cannot be solved that easily. This means that it is possible (not certain) to see one of the two relegated clubs of Super League (Kalloni and Panthrakikos) staying in this league despite their relegation. The trick in this crazy scenario is they must not finish last. Kalloni won yesterday and climbed to the 15th place of the rankings. Panthrakikos now has the motive of pursuing at least one point to claim back this place. Giannina have every reason to feel safe in the standings, 11 pts away from relegation. They were expected to have a safe season anyway so their results until now were not a surprise. A quick comparison between their home (5W-2D-5L, goals 14-16) and away stats (2W-2D-7L, goals 9-20) proves they are usually more confident when they play in front of their crowd at Zossimades. We should keep in mind they lost only one of their last three away matches against Atromitos (0-2 win), Iraklis (1-0 defeat) and Asteras Tripolis (0-0) which was their last game. Due to the crazy scenario I mentioned above, Panthrakikos will probably be motivated for anything they can get. I respect Giannina and especially their coach Mr. Petrakis but the truth is they are out of motive. If they were in need of points, we would see a totally different set of odds and I would probably choose a different result. Giannina rarely get two consecutive positive away results so this is why I will take my chances with the home side. Panionios surprised me this season. I could not possibly expect to see them claiming a place in the Play Offs so late in the season. It is now up to them to keep it, especially when they are 3pts away from Asteras Tripolis who lost yesterday as I expected. Panionios currently runs an undefeated streak of 7 matches in Super League (3W-4D-0L) and they come from two consecutive draws against Kalloni (1-1 away) and Veria (1-1 away). Their strong home record (6W-3D-2L, goals 13-7) makes them a favorite for today’s match but I must tell you I am concerned with their offense who scored more than goal only once during their undefeated streak. I will agree with those who say that the main reason for it is the absence of Boumale (MID/15/4 goals/6 assists) who signed with Panathinaikos on January. I do not expect Levadiakos to surrender that easily. You see Panionios was doing very well until the word “Play Offs” came into the picture. They seem stressed lately and this explains their two consecutive draws against Veria (who is weak at home) and Kalloni (who is practically relegated) at this important part of the season. Odds like 1.50-1.55 that I see are out of the question when Levadiakos behaves so strangely when playing away (4W-1D-6L, goals 9-15). In fact, if we leave the two defeats from Panathinaikos (3-0) and Olympiacos (3-1) out, the away stats of Levadiakos become 4W-1D-4L (goals 8-9). Does this probable but now sure home win look now? The win of Levadiakos @ 6.00 is a value bet any day. *Domestic rivalry battle for the area of Attica. Both teams are located in Athens and there have been season they were both using OAKA as their home. As you probably already know, rivalry battles like this one are open to any result. In our case, AEK and Panathinaikos have a long history of battles in the top domestic league as they are two of the most popular teams in Greece. Right now AEK looks more confident especially when they were the only team that defeated Olympiacos (1-0 at home) earlier this month. Their fans were so happy after it they did not even pay attention to the away draw that followed against Iraklis (1-1). Coach Poyet has every reason to feel pleased with his team since he took over on 01/11/15. His first match was the away battle against Panathinaikos (0-0) and his record since then shows 9W-3D-3L that lead to the second place of the standings. Panathinaikos on the other had problems as their roster could not guarantee a second place in the regular season. The point deduction (-3) for the rivalry battle against Olympiacos which never took place made everything worse. They invested a lot during the winter transfers and they have been preparing since January with a goal to be in a good momentum when the Play Offs will start. The first test of the new roster was made at the difficult venue of Giannina (0-3) and it was a success but it was quickly forgotten after the failure to get the 3pts against PAOK at home (2-2) although the Greens were on a lead by 2-0. Stramaccioni is criticized from time to time especially after the failures at home matches which happen to often. Things look a lot better on away matches with Panathinaikos having 4/4 wins since January (goals 2-10). The win Panathinaikos may be as probable as any other result but I think you will agree the odds are way too interesting for the second strongest away team of Super League (8W-0D-4L). Keep in mind OAKA is a familiar place for the Greens who are extremely dangerous in counter attacks as well. They will be highly motivated to reduce their point difference from AEK to 1 point and make sure their opponent will not start the Play Offs with bonus points. Another interesting fact is that AEK has a midweek Cup match against Atromitos (first leg) on Thursday. They want to reach the Final badly and they have given me the impression that the Cup is more important to them at this point. DO NOT GET ME WRONG. I am not saying they will abandon the match against Panathinaikos. All I am saying is that if things will not go the right way for them today, they will not spend the same energy. Having in mind the overall behavior of the two teams I will also pick the option Over 2.5 goals @ 2.55 expecting to see goals from both sides @ 2.15.